Throughout the remainder of this article the URL localhost is synonymous with http://localhost, 127.0.0.1 and http://127.0.0.1. To have Apache serve your own web site content there are two main options. The first is to place it within the default DocumentRoot. The second is to place it outside of the default DocumentRoot and use the Alias directive to map a URL to this location. Perhaps the easiest option – and the one requiring least change – is to place your web site content within the default DocumentRoot folder /Applications/XAMPP/xamppfiles/htdocs/ remembering to replace, rename or delete the existing index.php there. On lines 1 and 2 the Alias directive is used to map a URL containing /bitnami/ or /bitnami to /Applications/XAMPP/xamppfiles/apache2/htdocs/ or /Applications/XAMPP/xamppfiles/apache2/htdocs respectively, allowing Apache to serve files outside of the DocumentRoot. 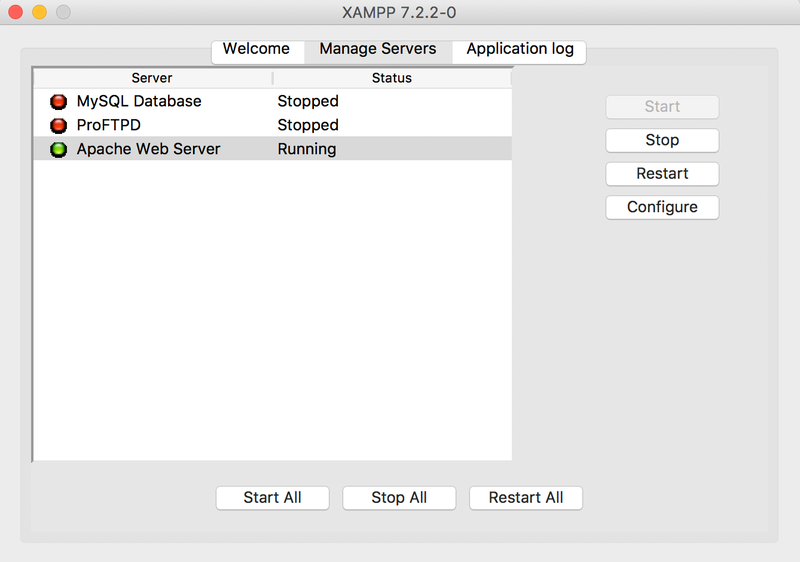 As such, a request to localhost/bitnami should cause Apache to serve /Applications/XAMPP/xamppfiles/apache2/htdocs/index.html. Using Require all denied, access to the server’s entire filesystem is forbidden and only granted to named directories if explicitly given. As an example, Require all granted explicitly grants access to /Applications/XAMPP/xamppfiles/htdocs as part of the Directory block on line 259 of /Applications/XAMPP/xamppfiles/etc/htppd.conf. If you prefer, the Apache server can be managed from the command line in Terminal. 1 If the Apache server is running, apachectl graceful doesn’t first stop and then start the server, it simply reloads the configuration files. If the Apache server is not running, apachectl graceful attempts to start it.